CEDAR CITY – The Iron County Sheriff’s Office officially turned a three-day search and rescue operation for a missing man to a recovery effort Thursday and opened a law enforcement investigation into his disappearance, authorities said. Daniel Michael Brown, 34, has been missing since Monday night when he left behind his wife and four children in their van that was stuck in snow in the Kane Springs area. The children range in age from 11 years to 7 months old. Brown left his phone in the van when he went for help. However, his wife told authorities she didn’t know the phone was there until the following morning when she called 911. 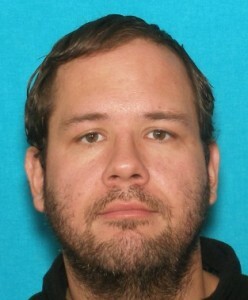 While authorities earlier said Brown left his family at 4 p.m., Sheriff Lt. Del Schlosser told Cedar City News Thursday that after some investigation they found the time was closer to 7 p.m.
Iron County Sheriff’s Search and Rescue crews scoured more than 75 square miles before the sheriff’s office scaled back the search Wednesday night. The command post that had been on site at milepost 31 since Tuesday was also relocated to Cedar City. The sheriff’s office issued a news release Thursday stating the search efforts had been changed to recovery. “Due to the weather we have experienced over the past few days and given the clothing Mr. Brown was wearing at the time he left his vehicle we have changed from a search and rescue operation to a recovery operation,” the news release stated. Changing the operation to one of recovery means the crews are no longer looking for a person who is mobile but deceased, Schlosser said. “The effort goes from having as many people as you can get organized and searching to getting people who can help,” he said. Efforts will continue through Saturday at which time all crews will be pulled off. Earlier reports said Brown left in order to find help. As the search for the missing father failed to uncover any evidence of him having been in the area, however, authorities are now wondering if Brown just walked away from his family after 11 years. Some circumstances surrounding the incident have led law enforcement to launch an investigation into Brown’s disappearance. When the van got stuck, the couple was traveling on a two-track dirt road 20 miles north of Enoch. There were several main dirt roads less than a mile away from their location, Schlosser said, and state Route 130 Minersville Highway just 2 miles west. Temperatures in the area hit as low as 19 degrees Tuesday night with snowfall measuring 8 inches that morning. The night’s storm hampered search efforts as crews were called off until Wednesday at 8 a.m.
Brown did not have a coat when he left the vehicle but was wearing a blue T-shirt, blue jeans and tennis shoes. At the time, the weather was reportedly good but within an hour or two changed significantly. Schlosser said while Brown was known to have survival skills, he still does not believe he could have made it through that second and third night. “I don’t believe that given what was reported that he left the vehicle with, that even someone who had extensive survival skills could survive with the harsh winter weather conditions the last few days have seen,” Schlosser said. The couple had been homeless for about a week and was looking for a campsite Monday evening. Brown’s wife and children are now at a shelter and family is financially taking care of them, Schlosser said. Upper Limit Aviation, several horses and police K9s, Bureau of Land Management, U.S. Forestry Service and search and rescue crews from both Iron and Beaver Counties all participated in the three-day search. Editor’s note: Cedar City News | CedarCityUtah.com is a counterpart to St. George News | StGeorgeNews.com. Well if he isn’t dead now, and he really did walk away from his family, he’s going to wish he was dead. I don’t think the stigma of leaving your family to die on a back road in the mountains will look good on his next eHarmony account profile.